A data system connecting policymakers and organizational leaders with the lived realities of service users. Just like StatsCan offers statistical snapshots, Grounded Data offers ethnographic portraits of hard-to-reach and high-cost end users. This intelligence can be used to increase empathy, inform policy briefs, improve staff training, and source more innovative interventions. A methodology: Grounded data blends design research methods with more traditional ethnographic and community health research methods. We’re able to offer a high level of granularity – exploring what makes for helpful versus unhelpful help, and the specific service interactions that shape moods, motivations, and preferences. A set of tools: A structured notepad for recording observational and perception data. A role: A recorder is a practicum student trained to shadow service users, and help them record their experience. A database: An easy-to-use interface that enables service users and policymakers to pull customized reports and see patterns (in development). Grounded data is in the prototyping stage, and works across social policy issues and marginalized population groups. Get in touch to be a prototyping partner. The idea for Grounded data comes from nine-months shadowing over 50 street-involved adults in downtown Toronto. 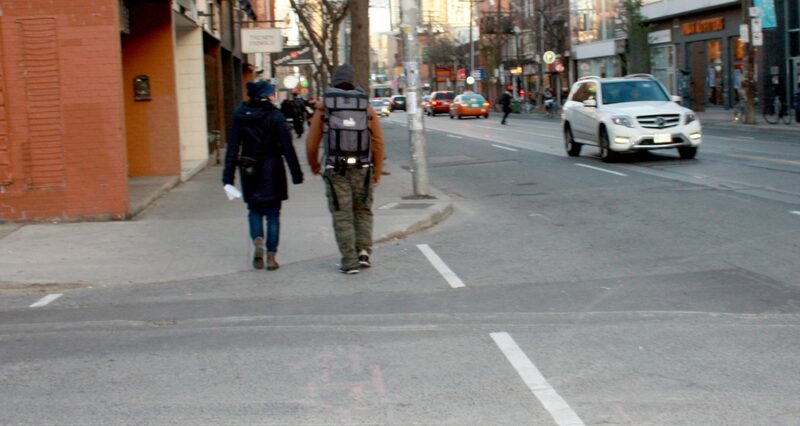 Initially, our fieldwork informed the design of new interventions with and for street-involved adults. 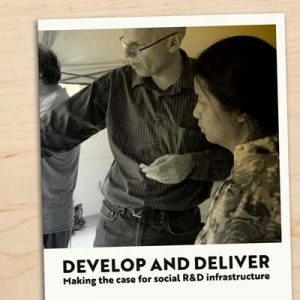 Then, we realized that the research could itself be an intervention to another user group’s problem: too many policymakers felt removed from the realities of people on-the-ground and lacked a feedback loop. the data that does exist elucidates the problem, not possible solutions. Grounded data makes it easier to collect, aggregate, and visualize what renowned anthropologist Clifford Geertz calls thick data. Thick data (also known as small data) is a type of data missing from most policy toolkits, and yet increasingly used within the business world. In his book Small Data, Martin Lindstrom outlines how observational insights are powering strategic decisions in large companies like Lego. Feedback is the change mechanism. Grounded data tries to close the feedback loop between policymakers and people. Feedback can be a real motivator for change. Making user data visible can make it actionable. To learn more behaviour change mechanisms, read our white paper. We beta-tested Grounded data with 60 civil servants at the municipal, provincial, and federal levels. 2/3 wanted to be better connected to the beneficiaries of their policies and services. They saw Grounded data as one way to do that. At the same time, the majority of civil servants acknowledged the barriers to Grounded: namely, a dominant evidentiary framework that questions the validity of qualitative methods. Whilst there is increasing appetite for qualitative methods, there is much work to be done to shift the public sector’s understanding of thick data. Grounded data is one product of the In/Out Project with West Neighbourhood House, and supported by the Metcalf Foundation, the Ontario Trillium Foundation, and United Way. Grounded data was developed in stages by Margaret Fraser, Daniela Kraemer, Natalie Napier, Jonas Piet, and Sarah Schulman. Brit Kewin was our documentary filmmaker. Read more about how we work with member organizations to routinize feedback loops and intelligence. It's all about deep scale.